Campground hosts at Naramata Centre support the ongoing operations of the Centre by assisting staff and volunteers to create a safe, welcoming environment in the campground and at the Centre. Campground hosts work with staff and volunteers to welcome participants who are staying in the campground. They greet campers, providing information about the week's programs as well as information about the campground itself. Participants may be people who have attended the Centre for many years or there for the first time. All are welcomed. ● Be available for campers a minimum of 24 hours per week. ● Be on site in July and August from 10 a.m. -12 p.m. and 2 - 6 p.m. on Saturdays when participants are checking in and out. ● Be on site in May, June, September and October on days when campers are checking in and out. ● Attend and be introduced at the Sunday evening welcome session. ● Introduce campers to one another. ● Respond to questions about the Centre and the village. ● Monitor the cleanliness of washrooms, replacing toilet paper and paper towels when needed. ● Contact housekeeping when washrooms are in need of cleaning outside of the regular cleaning times. ● Explain to campers the expectations for maintaining the cleanliness of the camp kitchens. ● Monitor and maintain the cleanliness of the Creekside and Southside camp kitchens. ● Empty the camp kitchen fridges of any leftover items on a regular basis. ● Quiet time is 11 p.m. to 7a.m. Hosts address noise issues with participants and ask them to respect the rule. ● Dogs are allowed in certain parts of the campground. Hosts remind campers of the rules associated with having a dog on their site. ● Contact the Centre manager when there are serious concerns or issues in the campground. ● Advise anyone entering the campground who is not staying on site that the Centre property is private and politely ask them to leave. ● Rake and remove debris from sites after people checkout. Hosts receive a free campsite with 15 amp electricity and water. The designated site is site 19 as it is central in the campground. ● Willing to be host for a minimum of 3 weeks and a maximum of 6 weeks. If you are interested in applying for this position, please email naramatacentresociety@gmail.com outlining how you qualify for this position, including your experience with Naramata Centre, your volunteer experience, the length of time and when you would be available (e.g., first three weeks in June). UPDATE - the first 3 weeks in July and in August are now filled. When I received word of Naramata Centre closing a year-and-a-half ago, I was stunned. It was hard to accept that a place that had been such a part of who I was, who I am, and who I hope to be, could close. If it failed, could I? If this place, this holy ground that was so integral in my own unfolding, and to which I attribute so much of how I operate in this world - professionally, personally, and spiritually - could appear to no longer be viable, what then of me? It was a tough pill to swallow, and I guess, to be honest, I went into my own deluded sense of denial, and refused to swallow it. When I joined the Naramata Centre Society board last year, it was from a place of stubborn, self-driven ego and desperation, thinking that perhaps I could make a difference, that I could help Naramata Centre find its place again in a world so seemingly desperate for the very things it has always offered. This past year, I have learned an incredible amount about Naramata Centre, far beyond what I knew of it before. I have learned that what I have gained from the Centre is only a miniscule portion of what the collective "we" have gained from it during its almost 70 years of operation. I have learned that my sadness and loss, when hearing of its closing, was shared with hundreds and thousands of others, who experienced their own versions of loss. I have learned that it is not just me who wants a Naramata Centre for the world, but many. But I have also learned how complicated that desire is. I have learned the impact of aging infrastructure and septic systems. I have learned the reality of maintaining 22 acres of land. I have learned the distance between what you want, and what you are able to attain, can sometimes be completely frustrating to navigate. I have learned that there is no shortage of ideas out there for what the Centre could be, each one exciting and overwhelming at the same time, with complicated implications for the whole. I have learned that the time it takes to mull, and research, and decide, is time that comes at the expense of family, friends, work and self. I have also learned that despite all of this, there are an incredible number of people who are prepared to try. People yearning to help. Excited to engage. Willing to step up and step in. Hopeful that their Naramata Centre may find its place in this world again. My week at Naramata this summer was so important for me. It was to be a litmus test of a year's worth of hard work by the board. It was to be an experiment, and I was going to watch it first hand, recognizing that it was going to be a different experience for all those who came to participate in it. And what I saw made me so happy! Our week at the Centre was full of what I have always loved about my experiences there, yet immersed in a sense of newness. It was a simple week, with two programs being offered, and around 60 people staying on site. There was a sense of ease about the week, with all folks - new and old - sharing in a collective sense of care for both the place and each other. The usual events (waterslides, campfire, a few dance parties, potlucks) occurred, but they were driven by participants, and not provided by anyone other than ourselves. If these events didn't happen, it was as though they weren't meant to be, and that was okay. And the new folks, those who braved coming to a new place they had never been to, had such a fresh and open perspective. I can't emphasize enough how their eyes helped me to see what an amazing place Naramata Centre is. It also dawned on me this year, that my oldest daughter is the same age I was when I came to Naramata Centre for the first time. I was struck by how fortunate I have been for the gifts, talents, skills and experiences this place shared with me, and how truly hopeful I am that she and her sisters will be blessed with their own experiences of this place during their lifetimes, as well. Heading into the fall, there is an incredible amount of work to be done to make this hope viable. There will be many tough decisions and conversations to have, not only as a board, but as a broad collective of souls who care so deeply for the Centre. Conversations about buildings, land, septic systems and finances. But with what I witnessed this summer, and heard in so many conversations, I am filled with a renewed sense of determination to see the work through, and allow this place, and the people it impacts, to experience and practice the change we all wish to see in the world. Just over a year ago I received a touching letter in the mail from an old friend. I opened the letter to find kind words, thoughtful hopes and seeds. Seeds of all sorts from the grounds at Naramata Centre. Seeds gathered in a time of closure, a time of conflict, a time of anticipating change. The seeds stared up at me, holding all that could be in their tiny being. Patiently waiting a time to explode back to life and grow something new. This summer I saw the seeds again. And this time they had sprouted. The quiet, abundant earth has been holding this space. The trees, the sand, the seeds, the clay hills, the birds, the bear, the spiders and a handful of faithful souls have all been holding this place. A place for all to gather, to play, to rest, to seek the Sacred. This summer I witnessed the seeds sprouting. In smiles, in tears, in loud beach splashes and quiet sacred pauses, I could feel the sprouts reaching toward the sun and rain. There is still so much to be determined, discerned, developed, but the seeds have cracked opened and begun to grow. This summer I saw Naramata Centre through the eyes of others. Wise elders, old friends, children, newcomers, board members, volunteers, residents, villagers, visitors, program leaders sharing so many stories, so many experiences. I heard joy, excitement, hope, caution, fear, anger, sadness, concern and mostly, gratitude. Deep gratitude. Gratitude for a chance to come and connect to this place, this space, this experience of being held in a community. Each story touched my heart, and when I look back at my very full and engaged time on site this summer, two moments in particular stand out. First the back story: this summer my friends gave me the best birthday gift ever. They showed up! Four families, all new to the Centre, all excited about finding a favorite new camping spot. Each shared their own perspective; each connected to the Sacred in different ways. My friend spent the week at the beach, in the trees, in the village connecting in circles of new community. At the end-of-the-week campfire, with tears in her eyes, she shared her story of her Naramata week . Her story of finding a new place to be, authentically herself, welcomed into community. My week was full of profound sacred moments. My favorite one was sitting in that campfire circle hearing the hearts of our elders, our children, our teens, our newcomers and our old friends, all being present to each other and the Creator, under the trees that lean in to listen. Windows open to air out the house, desk covered in papers, I push them aside to savor a peach. A peach, one of many, I brought back from the Okanagan en route home from my summer week this July. I remember the experience and give thanks for the opportunity that I had to join in Qi Gong, dig my toes into the sand, and sit on the edge watching children run, peacocks jump, and seniors gather together. For me, it was a week to engage in all-ages community. It was a week of work. It was a week of new connections. It was a week of spiritual nurture and renewal. Somehow, these seemingly disparate states managed to come together in this place and allowed me the opportunity to not only accomplish concrete tasks, but also to reflect upon the past and imagine the future. Exploring sacred space, walking the labyrinth, raking leaves, swimming across the expanse that is Lake Okanagan, and biking down the Kettle Valley Railway filled my days and left many memories which I brought home with me and which also call me back. It was a regular summer week at Naramata Centre; people from across western Canada and beyond came from Saturday to Saturday to stay at the Centre. Many gathered together with locals and other Centre residents in program time: soul collage, rock painting, yoga, Qi gong, sacred pause, music and conversation. There were no programs that required registration offered this week, rather anyone interested came together and brought forward program pieces and shared their gifts where they felt called to do so. Each day brought a new activity and a new way to connect with the group. Twenty, thirty, forty people gathered to imagine, sing with rEvolve, and share in a week-end potluck and closing celebration in the form of an open mic and evening of Mexican train and boccie. Weeding was a thread throughout the week as the path to the chapel was brought forth, dandelions were pulled from the labyrinth and unsolicited green growing things were picked out of the Sacred Garden. In addition, the roses were revived and the rocks were revealed. Old friends were made new and strangers found common connection. It truly was a community week. A Naramata week. As I finish off this peach and move back to the papers on my desk, I continue to carry the flavors along with me. Both literally and figuratively. I am rejuvenated and refreshed; I am thankful for the community and opportunity to be. Naramata Centre is up and running this summer and participants this week are very happy that this is so! Someone remarked, "It's so good to be back here." Another replied, "I'm thankful there is a here to come back to!" Participants this week were immersed in the familiar spirit of Naramata Centre through community building, spiritual nurture, singing together and meaningful conversations! Somatic Awakening (Feldenkrais) facilitated by Rob Black, with assistance from Brent Kisilevich. Singing for Life with Jean and Jim Strathdee leading the singing and Donna and Tim Scorer facilitating. I attended the singing program and can attest to the joy expressed by many at simply being at the Centre: immersed in community, singing Naramata favorites, being in a program together, forming new friendships. There was quiet emotion at being back in that circle. These folks love the Centre and were fully engaged, and committed to spreading the word back home in their churches and communities. As Community Spirit Facilitators this week, the Scorers helped the group plan a wide range of activities. They also led Sacred Pause, which book-ended the days, with mornings at the beach and evenings in the chapel. The Strathdees performed in the chapel Wednesday evening, with both Centre guests and local Naramata residents attending. Centre participants determined the social agenda for the week: a wine-tasting tour, Feldenkrais demonstration and booked sessions, Healing Pathway complementary and booked sessions, a drumming circle, enthusiastic volunteer activities on the grounds and in the buildings, and a wrap-up potluck dinner and concert Friday evening. Life was busy here! People were filled up and left optimistic about the future. And, it renewed the sense of hope that we can thrive once again with a new format, volunteer-supported spiritual Centre led by a committed group of amazing individuals! I hope that you, too, will have time at the Centre this summer to engage with others, and with the spirit of this place. Highlights from our annual general meeting! The Naramata Centre Society welcomed 64 members and 25 non-member guests to its annual general meeting (AGM), on June 25 at the Centre. Prior to the official meeting, participants were invited to provide feedback and comments on the Naramata Centre Society Draft Business Plan 2016-2020, which had been previously circulated to members. Board member Pam Rinehart used an open space process, inviting individuals to bring forward various topics related to the business plan for discussion. Lively discussion ensued, with participants joining groups to express their views on topics of interest. Naramata Centre is a beloved place of spiritual nurture, a spiritual home for many. The Centre is safe place for all ages; it is inclusive of all. Everyone is made welcome here. The Centre creates community and people come committed to being in community. What is the appropriate footprint for the Centre in the future? What is important in working with possible future partners? Spirituality, Christian roots, emerging progressive, holistic Christianity: what is the path to our identity? Marketing and communications, how do we reach young adults and other audiences? What should programming look like going forward? The Board of Directors appreciates the feedback received through the discussion and will consider it as we move forward this year. Board Chair Doug Woollard welcomed everyone to the meeting and provided his report on the work of the board over the past year. He pointed out various aspects of the draft business plan including issues that will need decisions going forward, such as the physical footprint of the Centre, the sewage system, and others. The full report is available here. Treasurer Kathy Hamilton reported that Naramata Centre incurred a loss for the year ending December 31, 2015 due to Centre closing costs (including severance) earlier that year. Subsequent to that time, the Centre operated with a balanced budget, ending the year with money in the bank. Labor costs are low, thanks to our dedicated volunteers. Once again this year, the Centre received a grant from BC Conference. We are grateful for this support, as well as the support of our monthly and periodic donors, as we work to discern the Centre's future. Five new board members were acclaimed. They are: Terry Brunner, Naramata; Barb Green, Edmonton; Terrance Malkinson, Calgary; Darren Rettie, Naramata; Sarah Thomas, Port Alberni. Biographies for these new board members are available on the website. Chair Doug Woollard expressed a sincere thank you for the efforts and support provided by retiring board members Tressa Brotsky, Norma Fraser, Dhane Merriman and Kathy Hamilton. Thanks were also given for the efforts of numerous volunteers over the past year. Memberships with the Naramata Centre Society expired June 25 after the AGM, so please renew today. Your membership demonstrates your support, allows us to keep you informed of Centre and board activities, and gives you the opportunity to vote at the AGM. Membership fees are $20. In the last week of May, the Centre was transformed by a group of work week volunteers. This intrepid group of 25 people worked long days to get accommodations, campgrounds and the grounds ready. Undaunted by sore muscles, aged equipment and two years of growth they worked and worked and worked contributing over 1,000 hours of labour to Naramata Centre. A huge shout out to these volunteers, who came from across BC and Alberta and even as far away as Saskatoon to help out at the Centre! Come join us at the Centre on Easter Weekend. We’re looking forward to getting a good start on spring cleanup of the gardens and grounds throughout the Centre. Because the Centre’s buildings have been closed and winterized, accommodation at the Centre will not be available. You will be responsible for your own food and snacks. Please contact Diane treearts@shaw.ca or Jim/Donna simpsondonnajim@gmail.com with any questions you may have or to let us know if you’d like to join us for either or both days. Many hands make light work! If you live nearby, please consider coming out for our NEW weekly garden and grounds work parties. We’re planning to meet every Thursday morning from 9 till 12 (weather permitting). Come to the Sacred Garden, just west of the chapel. One of us will be there each Thursday at 9 with a list of chores to choose from for the day. No need to phone ahead or confirm. Just come when you can, bring a pair of gloves, your favourite gardening tools, a snack and drink. We’re planning to start on March 10 and run for a couple of weeks and see how things go. We’d very much appreciate your help! Thanks for your support for Naramata Centre! It is with much regret that we announce Dhane Merriman’s resignation from the Board of Naramata Centre Society. Dhane has been a board member since the spring of 2014 and vice-chair since June 2015. He has helped the board navigate through some difficult and challenging times. As a board managing without staff all of us have made significant time commitments to the Centre. Working with others on the board Dhane focussed on the site and building maintenance as well as working on our future operating plan. Since joining the Board, Dhane’s business life has continued to evolve and with new opportunities emerging he finds it necessary to re-focus his attention in that direction. Please join us in thanking Dhane for his service. We wish him well in his ongoing endeavours. Site cleanup - raking, pruning, weeding, mulching etc. Accommodation in the Campground, East Court, Orchard Court or Cottage Court is free in return for your labour. Expect a 9-4 work day as there is much to be done. Most of the accommodation is in reasonable shape but you will need to clean your space when you move in and when you leave. Clean bedding and towels will be supplied. You will be responsible for your own meals. Potluck meals are a definite possibility! Given the nature of the week and the type of work we have planned we recommend that if families are considering coming to the work week that only people under 18 who are capable of working independently attend with their parents or guardians. We will be opening registration for the work week in March. We are holding a similar work weekend opportunity October 21-24. Please save this date. We will provide more details later this spring. Naramata Centre Society has changed the date for our Annual General Meeting, to be held in Naramata BC, to June 25, 2016 in response to a request from BC Conference of the United Church. There was a conflict with our original AGM date due to a meeting BC Conference executive had scheduled, which meant Conference representatives would not be able to be present at our AGM. We believe it is very important that representatives of BC Conference attend our AGM so have changed the date. We apologize for any inconvenience this may have caused for those of you who have already made travel plans to attend the original date. We hope you all had a wonderful Christmas and New Year break, enjoying family and friends and the spirit of the season. There was a great deal of interest in the Centre’s offer to provide short-term accommodation for up to four Syrian refugee families in partnership with volunteers in Naramata Village and the South Okanagan Immigrant and Community Services Society. We are still waiting to hear from the Federal government whether refugees will be coming to Naramata. We will let you know as soon as we have any news. After taking time to celebrate Christmas, the board is hard at work developing an operating plan to be reviewed by both BC Conference and our membership in the spring. While we have not yet made the decision to re-open, it has been suggested by many that if Naramata Centre is to succeed in any plan to re-open that providing access to the Centre in the summer of 2016 is very important. 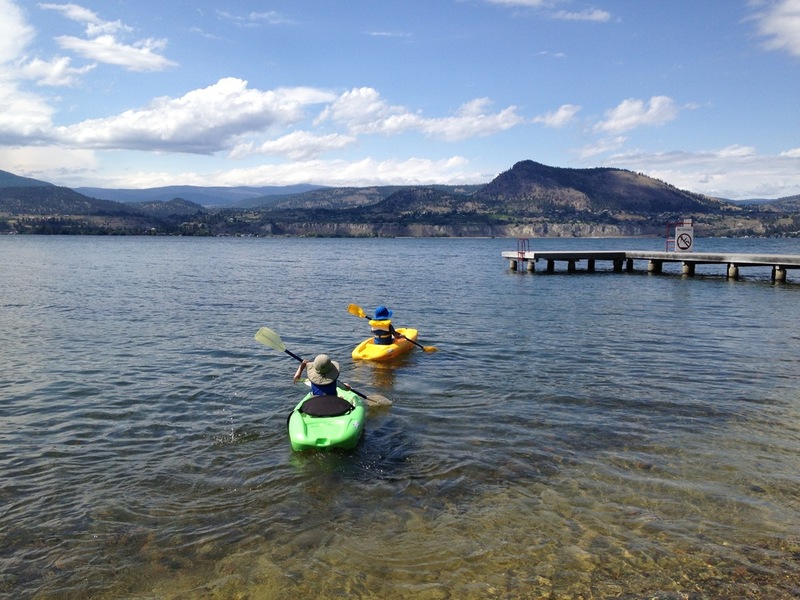 As our Board considers a future for Naramata Centre, we have decided to invite back past participants and new folks to the Centre this summer from May 28 to October 15. The invitation will include opportunities to rent accommodations or space in the camp ground for a week at a time. We won’t be providing food services. We also want the people who return to the Centre this summer to be able to experience spiritual growth and community once again at Naramata. Part of what we all received from the Centre was the opportunity to explore and grow spiritually, which in the past was generated by learning experiences and a strong sense of a safe, caring community. We are currently exploring options for providing access to programs to achieve this goal. We have a Board meeting at the end of January where will be finalizing plans for 2016. In February we will provide more information about both our short and long term plans - please stay tuned! If you aren't already subscribed to our email newsletter, please click: SIGN UP HERE to ensure you receive our updates as soon as they are available. It was a lovely fall weekend in Naramata when your Board gathered, Nov 20-22, to explore possibilities for the future. Please read on for information and updates about Engagement Session Results, Short and Long Term Approaches, Refugee Response, and 2016 AGM Dates. Over 270 people in 20 local engagement sessions told us what they thought. And we used this information to guide our thinking and planning for the future. Given the enthusiastic response we received from you, the Board is keen to move forward towards re-opening the Centre, if a sustainable financial model can be found to do so . The next step is developing a financially viable operating plan that ensures meaningful activities and experiences for people who attend the Centre. As a managing board with no employees our work is always a combination of taking care of day to day tasks to ensure the ongoing well being of the Centre as well as long term planning for the future. We have been working to reduce costs at the Centre. The expenses and revenues are much less than they were when the Centre was operating and we have reduced our costs to match our much reduced revenues. For 2016 we have a ways to go in having revenues match expenditures and will be working on options for generating revenue while we develop an operating plan for consideration by BC Conference and our members. As suggested by many of you in the engagement sessions we have been looking at what we can learn from other retreat centres in various countries in addition to Canada. Our thanks to Dr. Janet Groen of the University of Calgary for her help with this work. Each of the retreat Centres have a unique history and quite different operating models. As we move through development of an operating plan we will be drawing on the information from these other centres to help guide us. We spent time understanding in depth our buildings and land, including our sewage system, examining the strengths and weaknesses of each building. Our thanks to Craig Burns and Robin Robertson for sharing their expertise with us. As a number of you said it is important for the board to identify which buildings are central to our ongoing purpose as well as identifying which land or buildings may be surplus and can be used to generate revenue by being leased or sold. We spent time understanding a variety of tools which could possibly assist us in developing an operating model such as cooperatives, Community Contribution companies, social enterprise, partnerships with businesses, fractional ownership and fund raising. Our goal in creating an operating plan for review by BC Conference and our membership is to describe what we want the Centre to be providing in 5 years and how we will be providing that with milestones to be achieved for each year of that 5 year plan. If we are able to re-open we know we have to start small and revenues must match expenditures in each year of operation within the 5 year plan. We are excited about the possibilities. Between now and our January meeting we will be doing in depth research on the available tools and developing two options for an operating plan for the future. At our January meeting we will finalize the draft operating plan for initial review by BC Conference in February. We look forward to sharing our progress with you in the coming months. Naramata Centre Society has been asked to assist Syrian refugees coming to Canada by providing short term housing. We are currently working with South Okanagan Immigrant and Community Services (SOICS) and local volunteers to determine if Naramata Centre facilities can be used to house 3 to 4 refugee families as part of the Government’s effort to bring Syrian refugees to Canada. We are pleased to be able to help by working with others in the community to assist in the response to one of the largest refugee crises in recent memory. Should the Federal Government decide to bring refugees to the South Okanagan the Naramata Centre Society would be participating in this partnership by providing much needed housing. SOICS and volunteers from Naramata village will be providing the direct support to the refugees. We will provide updates as we learn more about what is happening, and the role we may play in assisting these families.